Toronto, ON, September 14, 2016: The Sunburst Award Committee is pleased to announce the winners of the 2016 Sunburst Award for Excellence in Canadian Literature of the Fantastic in Adult, Young Adult, and Short Story categories. 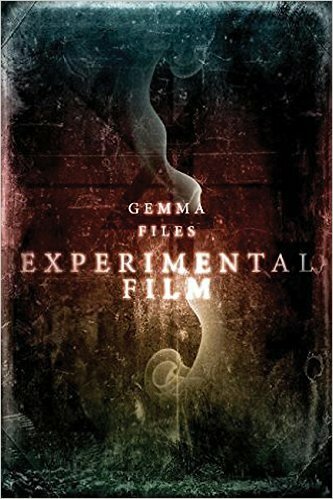 The winner of the 2016 Sunburst Award for Adult Fiction is Experimental Film by Gemma Files (ChiZine Publications). This novel is uniquely Canadian, both in the exploration of a past disappearance of a troubled spiritualist socialite filmmaker and the struggles of the 21st century narrator whose life is increasingly tied to that of the filmmaker with whom she is obsessed. A complex blend of the supernatural, technological, and social forces that shape life, Experimental Film is an unsettling tale that draws the reader into the mystery while expanding our understanding of so many subjects: autism, film, Canadian social history, and the perception of reality. Gemma Files was born in London, England and raised in Toronto. Her story “The Emperor’s Old Bones” won the 1999 International Horror Guild Award. Her novel A Book of Tongues won the 2010 DarkScribe Magazine Black Quill Award. Her novels have also been nominated for the Lambda Award and the Bram Stoker Award. Experimental Film has previously been awarded the 2015 Shirley Jackson Award for Best Novel. The 2016 winner of the Sunburst Award for Young Adult Fiction is An Inheritance of Ashes by Leah Bobet (Scholastic Canada). The masterful storytelling in An Inheritance of Ashes confirms the formidable talent seen in her 2012 début Above. Far from the horrifying ravages of a strange war against supernatural forces, a farm family struggles to survive and to understand the history being shaped by their losses. Outcasts themselves, and full of internal conflict that has scorched their hearts, the family already faces encroaching supernatural forces before they shelter a returning soldier and find themselves thrust into the centre of a conflagration none of them fully understand. Sixteen-year-old Hallie must find the courage to face grief, the power of legends, and the fear of unknown and unknowable forces. Leah Bobet grew up in Vaughan, ON, and currently resides in Toronto. Bobet is the author of multiple short stories and poems that have appeared in magazines, anthologies, and school readers around the world. She is also a recipient of the Lydia Langstaff Memorial Prize. An Inheritance of Ashes has been shortlisted for the 2016 Canadian Library Association Young Adult Book Award. The winner of the inaugural 2016 Sunburst Award for Short Story is "Hide and Seek" by Catherine MacLeod (initially published in Playground of Lost Toys [Exile Editions]). Nova Scotian short fiction writer Catherine MacLeod's creepily resonant domestic "Hide and Seek" marries the trope of an invisible child with a Victorian etiquette manual and a professor intent on using tech to extend his infidelity—by rendering his virtually invisible wife truly invisible. A gratifying read for anyone who cannot remember eating the last piece of cake, this short story in Exile Editions'Playground of Lost Toys whets the appetite for more. Catherine MacLeod lives and writes in Tatamagouche, Nova Scotia, where she spends too much time watching "The Protectors" on YouTube. Her publications include short work in On Spec, Nightmare,Black Static, Tor.com, and several anthologies, including Fearful Symmetries and Chilling Tales: In Words, Alas, Drown I. The 2016 Sunburst Award jury was comprised of Timothy Anderson, Sylvia Bérard, Virginia O’Dine, Dale Sproule, and Myna Wallin. The Sunburst Award Society thanks Kobo Writing Life for providing their jurors with Kobo Arc HD tablets in order to read electronic submissions. Jurors for the 2017 award will be Nancy Baker, Michel Basilières, Rebecca Bradley, Dominick Grace, and Sean Moreland. Submissions will be accepted of works published in 2016 for the 2017 awards beginning in October. See our website for details. Since 2001, The Sunburst Award for Excellence in Canadian Literature of the Fantastic has celebrated the best in Canadian fantastic literature in both Adult and Young Adult publications. Winners of the Adult and Young Adult Award receive a cash prize of $1,000. Winners of the Short Story Award receive a cash prize of $500.00. All winners also receive the distinctive Sunburst Medallion, which incorporates the Sunburst logo. Past winners and nominees of the Sunburst Award include such notable Canadian authors as Thomas King, Kelley Armstrong, Margaret Atwood, Cory Doctorow, Charles de Lint, Nalo Hopkinson, Guy Gavriel Kay, Eden Robinson, Robert J. Sawyer, and Margaret Sweatman. The Sunburst Award takes its name from Sunburst, the 1964 debut novel of the late Phyllis Gotlieb (1926-2009). Gotleib was at the forefront of Canadian speculative fiction, being one of the first Canadian published authors to be recognized in the genre. For additional information about the Sunburst Award—including nominees, jurors, previous winners, eligibility, and the selection process—please visit The Sunburst Award website atwww.sunburstaward.org.